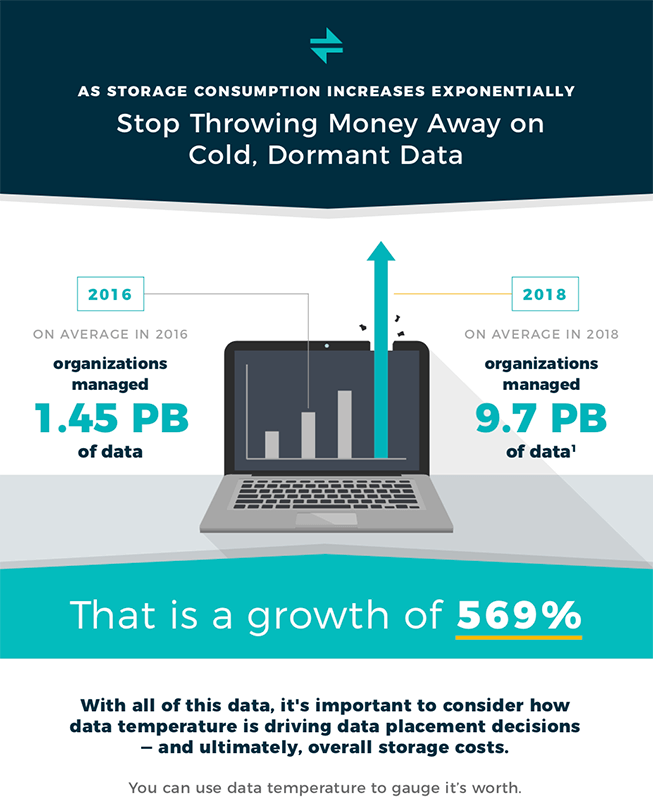 DataCore delivers a software-defined architecture that empowers existing and new storage investments with greater performance, availability and functionality. But don’t take our word for it. We decided to poll our customers to learn what motivated them to adopt software-defined storage. As a result, we came up with the top 10 reasons. 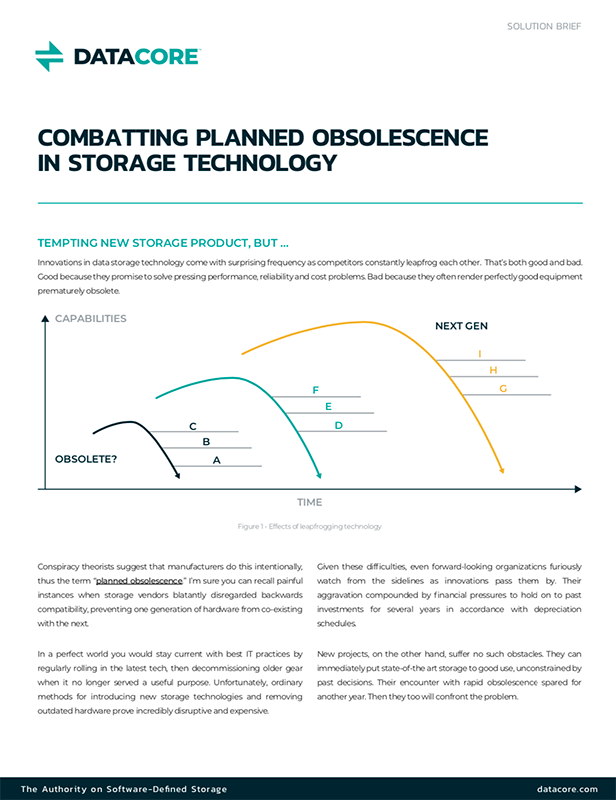 How software-defined storage protects investments, reduces costs, and enables greater buying power. How you can protect critical data, increase application performance, and ensure high-availability. 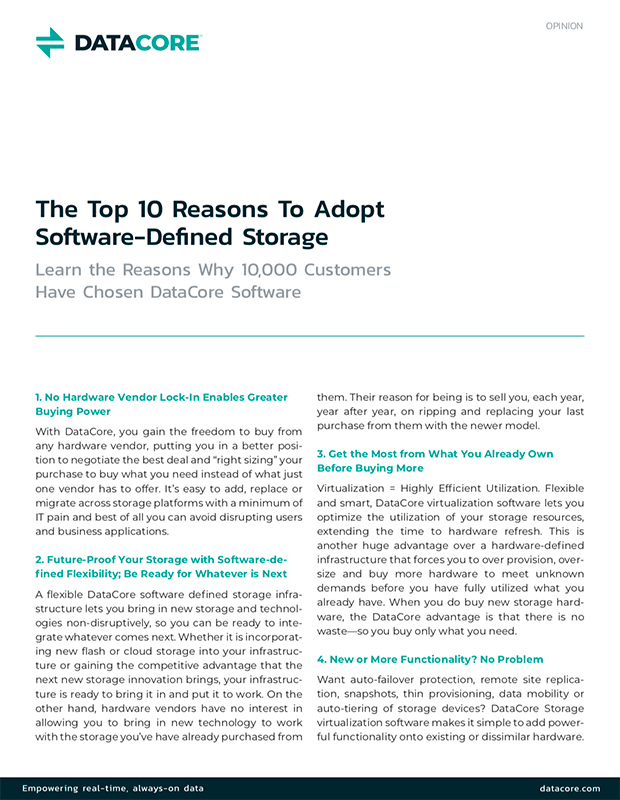 Why DataCore’s software-defined storage solution has been deployed at over 10,000 customer sites.